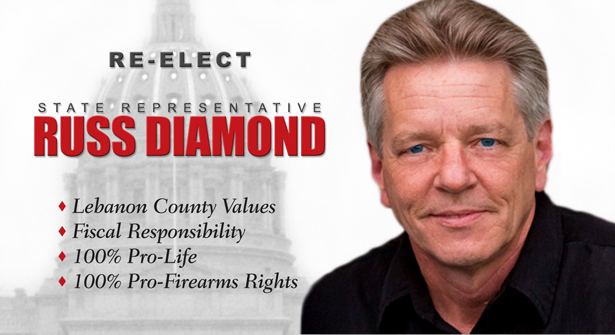 In 2014 you sent me to Harrisburg to stand up for Lebanon County values. I'm proud of my record in the General Assembly fighting for Lebanon County values. I humbly ask for your vote on Tuesday, May 15th. I look forward to serving you for another two years. Paid for by Friends of Russ Diamond.